Thames & Hudson, 9780500204092, 312pp. Acting, direction, stagecraft, theatre architecture and design, the extraordinary evolution of dramatic literature--here is an all-embracing and richly illustrated history, worldwide in scope and ranging from the ancient origins of the theatre in the choral hymns sung around the altar of Dionysus to the endless variety of forms that theatre takes in our own day. 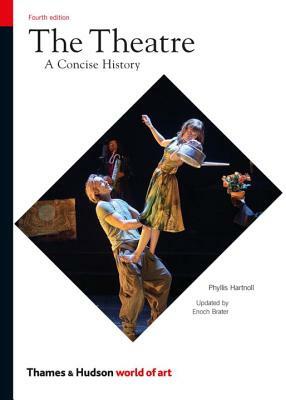 For this fourth edition, Enoch Brater, Professor of English and Theatre at the University of Michigan, has contributed a revised and extended final chapter on contemporary theatre and updated factual information throughout the book. With its wealth of illustrations and up-to-date reference material, this is an indispensable book for all theatre-goers.